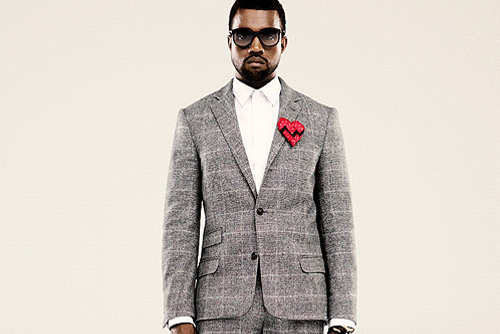 Rap-Up.com released the official tracklist for both ‘Loud’ and ‘My Beautiful Dark Twisted Fantasy’. With both of the albums coming out next month, I was wondering why it was taking so long to release the tracklist. Honestly, I am semi-disappointed in both because I was expecting more. Both Rihanna and Kanye have a lot riding on their albums. While ‘Rated R’ was strong content wise, the album failed in comparison to ‘Good Girl Gone Bad’ and barley sold over 1,000,000 copies in the US. ‘Loud’ is look to give her fans what they want to hear, and hopefully will be as successful, if not more, than ‘Good Girl Gone Bad’. After the Taylor Swift incident last year Kanye saw a major dip in his popularity. After only singing on his last album, is back to give us rap in its purest form and hopefully earn his fourth consecutive number 1 album. 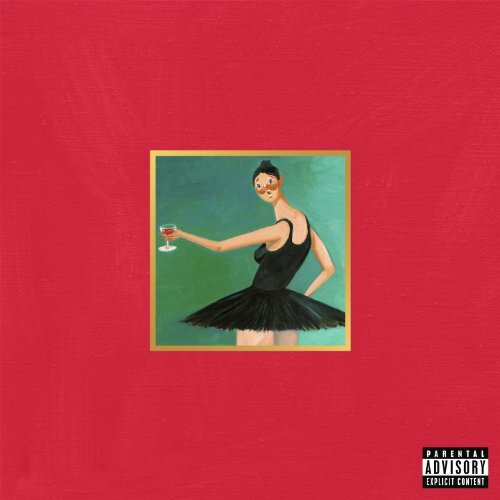 With each day being closer to the release of Kanye’s fifth album, ‘My Beautiful Dark Twisted Fantasy’, more is being released about the album in preparation of its release. Yesterday the cover art was released on twitter and shows a painting of a naked Kanye with a naked woman monster over him. According to Kanye’s twitter the cover has been banned in the US, and major stores like Walmart won’t even carry the album because of it. All this controversy has the internet buzzing, but the real question is whether this is all necessary? After the success of their runaway single ‘Bulletproof’ Bristish band La Roux seems to be hoping for similar success by doing a remix of their song ‘In For The Kill’ with Kanye West. Kanye is no stranger to lending out his hand to help other artists, and for a smaller artist like La Roux, his prescence on the track should be veiwed as an honor. 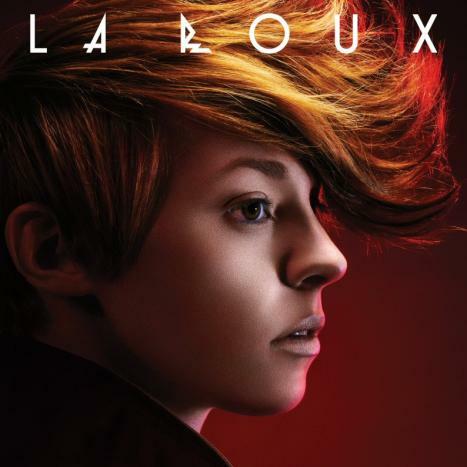 After hitting the top 10 on the pop charts La Roux has the potential of establishing themselves in the notorious American market. In theory, having a popular feature equates to a popular song, but I have my doubts about this. Kanye West released his second single ‘Runaway’ yesterday on iTunes from his fifth album due out on November 22. 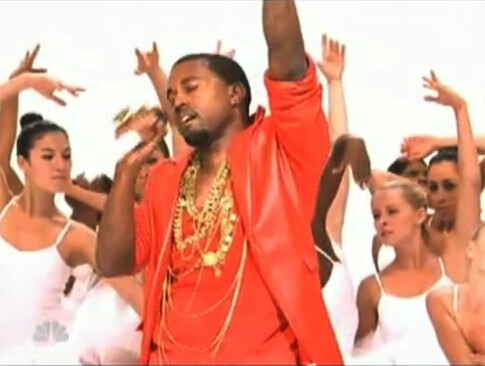 The song has had quite the buzz on the internet since Kanye premired it at the VMA’s. His performances on SNL were also widely spoken about this past weekend. It looks like Kanye has officially gone into full promotion mode. Even though the song leaked the day after the VMA’s I wanted to wait until it was officially released to give readers the extra push to buy the track. After insulting the entire SNL case in his song ‘Power’, Kanye and SNL seem to have made up with him performing on the show last night. As far as rappers go, Kanye is one of the best performers. He is always visually intriguing and owns the stage. With a white stage full of dancers a red dress Kanye performed ‘Power’ and ‘Runaway’ last night in New York City. Its clearly evident that Chris Brown is trying to come back harder than ever before. 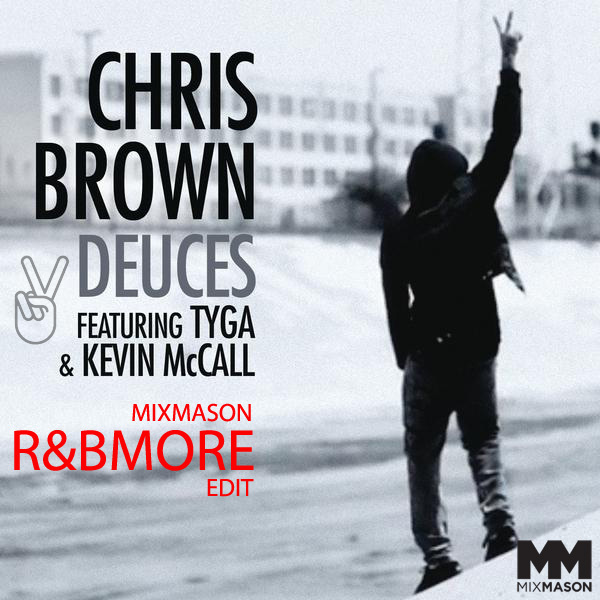 This remix is going to help him out a lot since R&B radio has been the first to welcome him back to the airwaves. While ‘Yeah x3’ begins to spin on pop stations Chris is aiming to milk the ‘Deuces’ cow for all its worth. The line-up alone on this remix is highly impressive, and one would think that that it would be a mind blowing remix, but it fails to impress. Andre 3000/Chris Brown/Drake/Fabulous/Kanye West/New Song/Rap/Song Review/T.I. Kid Cudi’s first album is one of my top five favorite of all time. I never understood why Kid Cudi is labeled as a rapper because he is so much more than that. He explores so many different sounds that its hard to label him as anything but alternative. Cudi seems air his dirty laundry out, and allows his fans to see into his head with his music. As a protege of Kanye West, Cudi follows in his footsteps by being daring and creative in every aspect of his artistry. He is one of the most interesting and talent artist out right now. ‘Erase Me’ is the first official single from his sophomore album, and has a rock-pop sound to it. Rather than rapping Cudi sings on the whole track and lets him mentor Kanye West drop a few bars towards the end of the song. The song actually reminds me of 90’s rock, with melodic verse leading to pop chorus. It sounds like a song Weezer could get away recording. Maybe Weezer should because this is better than anything they have released the past few years. Since Cudi has no definite style or genre to his name the song works well on a number of levels. He doesn’t have an amazing voice, but its not bad either. His messy vocals work with both the subject and choppy sound of the song. 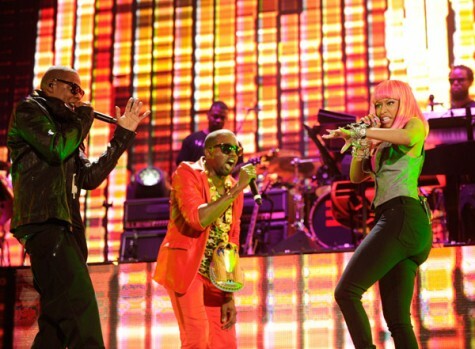 The performance also comes off as being natural, which always plays a big factor in a songs success. Kanye also drops a nice verse, which only add to the songs appeal. I have never heard a song in which Kanye was the featured artist that I thought was bad. He has a way of making both himself and the lead artist look good, which is not an easy thing to do. Overall, I think the song is good, but I know Cudi has better to come. 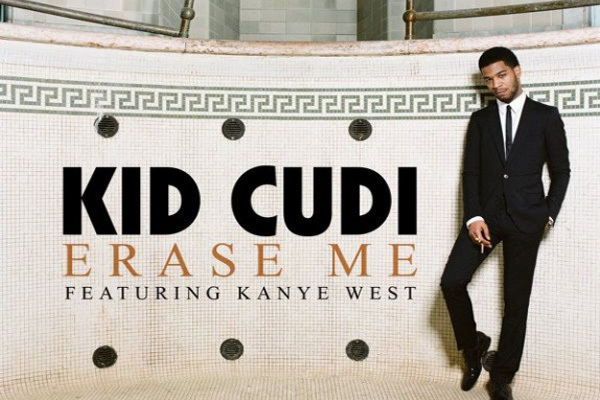 ‘Erase Me’ serves the its purpose as a first single, making the public anticipate his album, but I am not sure how the song will do on the charts. Cudi has a strong following so I don’t think that it will cause a big problem. Hopefully his single will get progressively better so he can have another breakout hit like ‘Day N’ Night’. November 16th- Def Jam Showdown? November 16th is shaping up to be quite the release date. Two of music’s biggest stars, Rihanna and Kanye West, will release their fifth albums that day. Interestingly enough both are on the same label, and considering the popularity and success of each artist one has to wonder, why this is happening? The last three albums that Kanye released all have debuted at number 1. I am assume that this album will be no different, especially since his successful VMA performance which won back the hearts of the judgmental public. Basically, the Taylorgate incident won’t haunt him anymore. Rihanna is another story. None of her four albums have hit number 1, and that can be attributed to the release dates that she has chosen. ‘Rated R’ came out the same week as Lady Gaga, Susan Boyle, and Adam Lambert. Even with he high profile singles, Rihanna has never been known to be an albums artist. With ‘Only Girl (in the World’ blowing up on both the radio and itunes (it hit number 1 last night), Rihanna is gaining so major buzz for this next album which see her going back to some dance roots. The public has expressed that they wanted a more fun Rihanna and she gave it to them. She should sell a lot with this album because she is catering to the publics needs. Kanye has a huge follower that is loyal and supporting of his music no matter what. This is why I think that Def Jam will move one of their release dates. Def Jam is currently one of the biggest labels out right now. A record label always wants to have as many number 1’s as they can garner. Putting two of your biggest artist on the same release day is foolish. They could easily have 2 more number 1 albums if they switch one of them a week forward or back. To be honest with you, I don’t know who would come out victorious at this point in time. I would lean more towards Kanye because of his track record, but the radio has not embraced any of his singles yet (which is a crime because all have been brilliant). Still, Rihanna is heighten her chances with ‘Only Girl’ and she is also said to be dropping an even bigger single before the release date. That could push her ahead if both of her singles are in the Top 10. So I ask, why Def Jam? I do believe that one of their dates will be changed, because I really don’t see LA Ried risking the chance of Rihanna or Kanye missing a number 1 album. Just for kicks though, who do you think will get the top spot if the dates don’t change? As I warned with the song there is some strong language, so be warned.